It's time for us to check out some of the amazing details from the today's ceremony! 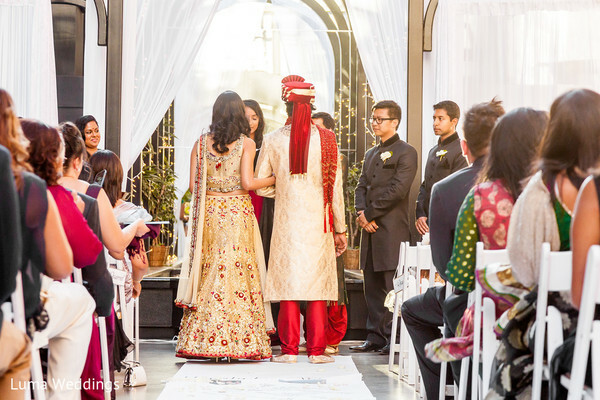 Simply by Tamara Nicole planned a remarkable wedding event for this South Asian bride and groom and, lucky for us, Luma Weddings captured all of the most memorable moments! 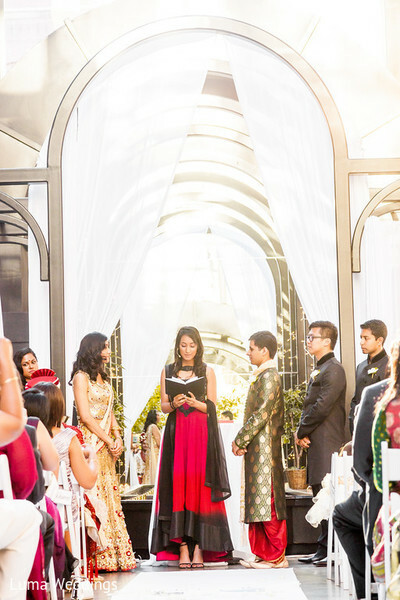 This charming vow exchange in Seattle features a beautiful blend of traditional and contemporary elements, and a fusing of two religious beliefs, Islam and Hindu, in an unforgettable union that guests won't soon forget. 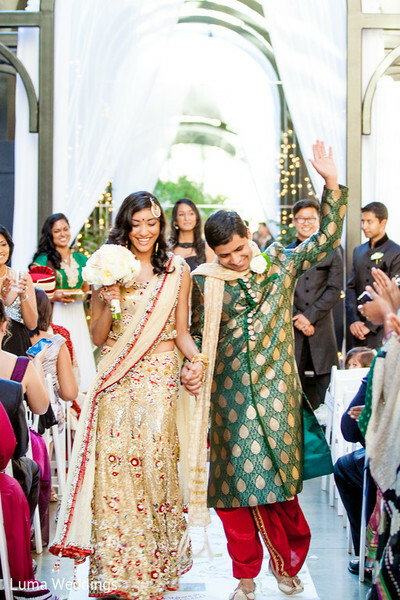 The bride is stunning in her champagne-gold lengha, and the groom's emerald sherwani plays the perfect, fashionable contrast. Now that these two love birds have officially tied the knot, it's almost time for them to celebrate in style at their much-anticipated reception, but before we take a look at that, we'll get an exclusive look at more romantic wedding portraits. If you simply can't wait, take a peek inside the gallery at what's still to come. 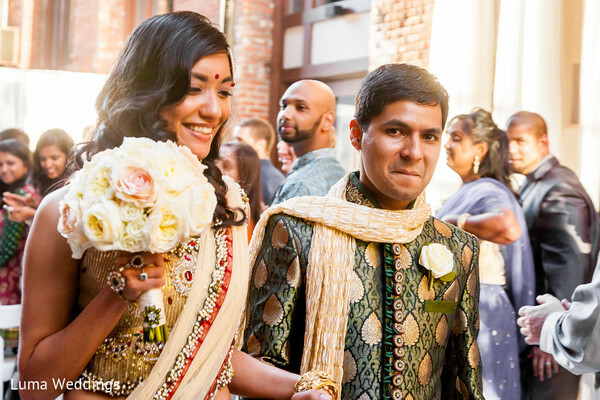 "We really wanted our wedding to be very luxe and glamorous but also borrowed style ideas from the Mughal Era like jewel-encrusted touches and a lot of gold and pearl accents. The accent colors were ruby red and emerald green. 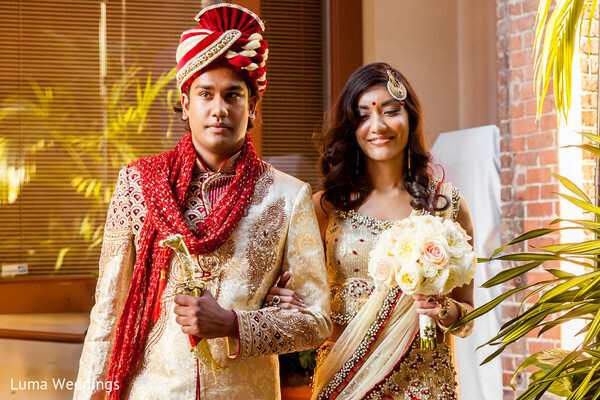 We wanted to fuse traditional Mughal style with a modern luxurious feel." 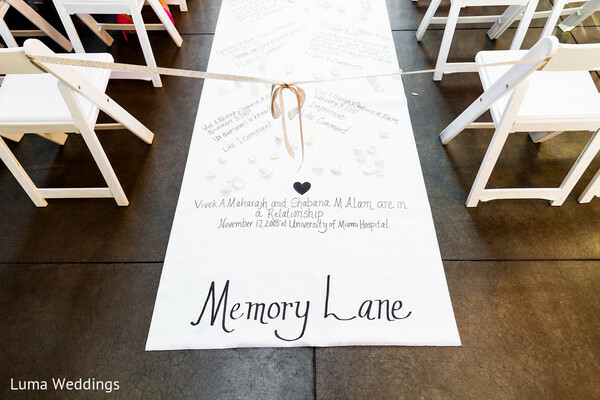 "I loved involving our friends and family the most in our wedding. It was so much fun to share ideas with my bridesmaids and get their feedback. Our friends really went above and beyond to make our day special....our friends played the roles of bridesmaids, groomsmen, DJ, MC, officiant, and ushers. It was so much fun planning with them. Working with my amazing planner Tamara of Simply By Tamara Nicole made the whole process so easy! She really went above and beyond for us to make sure we got everything we wanted on our wedding day." 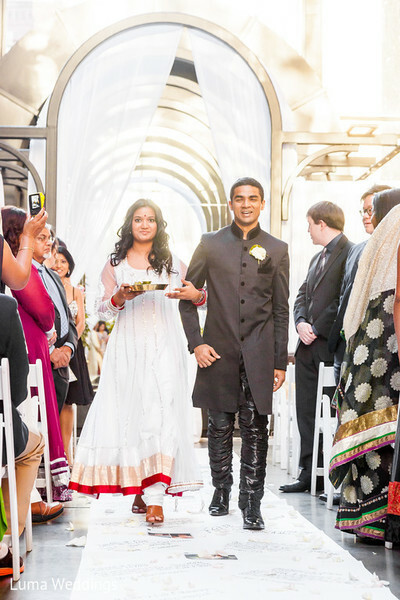 Don't forget to check back in with us for more from this remarkable wedding event!